Cariola Students Have the Write Stuff! Teagan - winning entry: "My Spooky Story", Weston - winning entry: "Frog and Shark", Shamell - winning entry: "Battle of the Ghosts", DeAshaney - winning entry: "Shopping with a Witch", Maddie - winning entry: "The Little Lost Pig"
Imagine being asked to compose a story that will be entered into a national writing contest. Imagine being non-verbal. Imagine having limited motor skills where picking up a writing instrument or using a keyboard is nearly impossible. Now, imagine you’re a student at Mary Cariola Children’s Center. Imagine you are under the guidance of a highly skilled Speech Pathologist. Of course you’re going to enter the contest! And of course, your entry is selected to be published! That’s exactly what happened to not one - but five - Mary Cariola students! 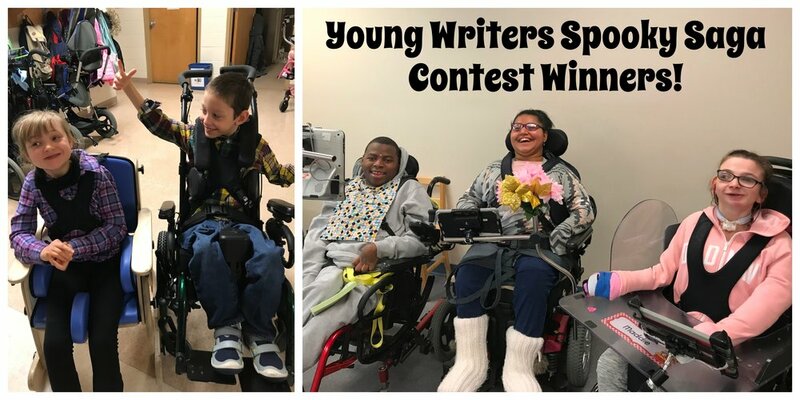 Five stories were submitted to the Young Writers Spooky Saga contest and all five stories were selected for publishing. Young Writers is an organization that encourages young writers to read, write and enjoy poetry and creative writing. 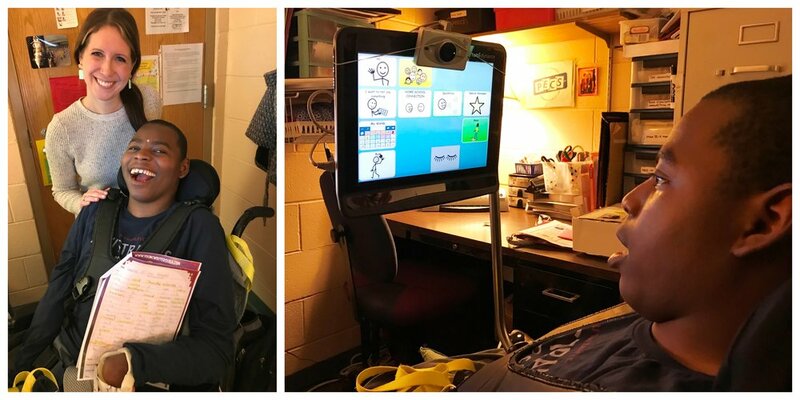 Each of our published authors are high tech communication device users who worked directly with their Speech Therapist/Pathologist to compose their masterpiece. Tricia described the process as very laborious and challenging because Shamell first had to learn the sequence of writing a story. She credits Reading Specialist Sarah Westbrook with accomplishing that task. Tricia then broke apart the sequences of a story, color coded a visual handout that Shamell could follow that started with subjects, setting, timing, activities and outcomes. Tricia’s color codes were consistent with the color codes on Shamell’s communication device. Slowly and methodically the story unfolded as Tricia worked with Shamell to identify the subjects of the story and then composed sentences following subject, verb, and object format. For Shamell, the accolades of being a published writer at age 17 are just the tip of the iceberg. Mary Cariola Speech Pathologist Tricia Coleman works with Shamell during a recent speech session.